God’s character revealed to me: He instructs and teaches me his ways, He counsels and watches over me, He constantly loves those who follow Him, He brings joy and gladness into my life and desires to live in my heart. David knew that God would teach him what he needed to know and he would benefit from it as long as he was willing. God warned him not to be like a mule or a horse that needed to be lead around. We need only to be willing to listen and go where God leads to totally benefit from His teaching, love, counsel, protection and guidance. God is omnipresent and promises constant availability to those who love and trust in Him. Does that describe you? Do you allow your rebellious nature (we all have it) to take control so that you miss out on God’s intended blessings and guidance? Letting go and letting God lead, guide, protect, counsel and love us is a life long process. Will you join David today and praise God for His steadfast love and trustworthiness? Let God hear your shouts of praise in words and maybe songs today as you lift you voice to Him in joy! 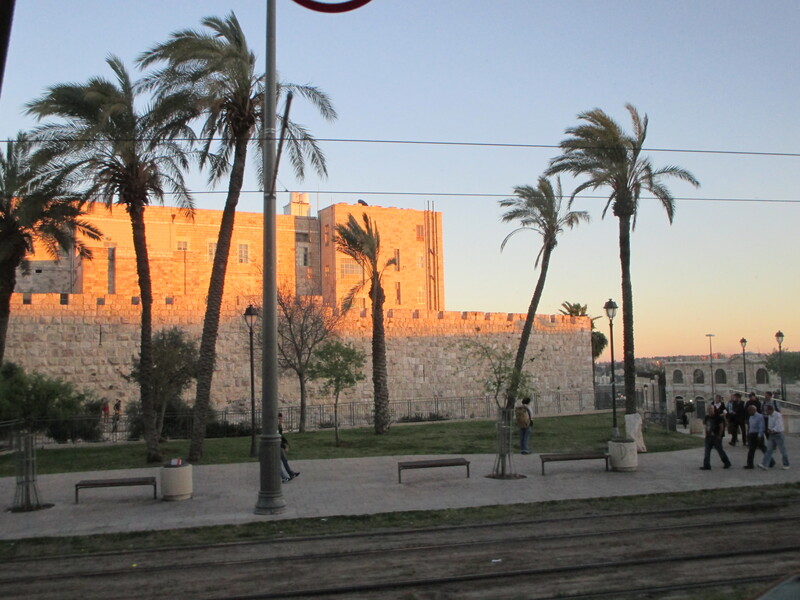 Golden walls of Jerusalem’s Old City. Lifting my eyes Heavenward, How about you?